an ideal breakfast for a hypoglycemic? exceed 120, and at no point in the day should it exceed 140.
levels in the upper ranges of normal can indicate pre-diabetes. Blood sugar levels below these targets indicates hypoglycemia. from increase risk of stroke, dizziness, coma, and even death. also suffer from night sweats. one which balances sugar intake with fiber and protein intake. helps to keep your blood sugar level. apple puree or apple juice to eat. hypoglycemia, and apple puree worked better than apple juice. How Often Should You Eat to Prevent Hypoglycemia? steep decline that can lead to shakes, dizziness and nausea. 2. Cup of soy milk or low-fat cow's milk. 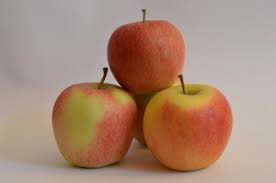 Apples are high in fiber which can help you manage hypoglycemia.